Falling short on finances is a struggle that you do not want to experience! However, this is one problem faced by many. While we can say that success is the fruit of hard work and determination, one factor that also contributes to the standing of one’s success rate is a disciplined financial management. At the end of the day, no matter who you are, you all live to have an end-goal, to be financially capable to live on our own. If it’s not yet working out for you, there’s probably that bad money habit that’s keeping you feeling poor or really poor. “I’m poor because my parents are poor.” Stop this mindset. You do not blame your current financial standing based on your family’s. Bill Gates was the son of a farmer but he became one of the richest people in the world. Oprah Winfrey wore potato sacks as a child yet she became a media mogul and was the only black woman to land Forbes list of 400 richest people in America! Henry Sy wasn’t born with a silver spoon and used to work 12 hours a day at his father’s Sari-sari store. Now, he is the richest man in the Philippines. Don’t let the habit of the poverty mindset keep you from winning in life. The struggle can be real, and if you want a successful life, don’t pray for an easy journey. The road to success, be it financial, is a long and bumpy one. It’s pretty clear that what separates the rich from the poor is their financial discipline. The rich know how to pay themselves well by keeping a faithful savings account! If you have zero savings, then take the word from Jack Ma when you feel you’re still struggling at 35 – it’s all entirely your fault! Financial discipline starts with savings. A 70/30 rule can help you get started. With the 70/30 frame, you learn to live on 70 per cent and allocate the remaining 30 percent on the following: 10 percent on giving back, 10% for capital investment, and 10% for savings. Avoiding your debts and failing to manage them makes it even worse. You can’t hide from your debts forever. If you want to start being responsible, start with facing your dues, charges and stack of bills. Learning to budget and recognizing financial responsibility will later on help you succeed in the future. Develop the good characteristics of debt-free people such as living below your means and thinking of long-term goals. The scene from the movie “Confessions of a Shopaholic” would remind you how impulse buying can leave you in debt. By debt, it means you are financially unstable. Overspending for wants is not entirely a bad thing, but what makes it bad habit is living beyond your means. Instead of overspending, do proper spending. Find wise investments to grow income. 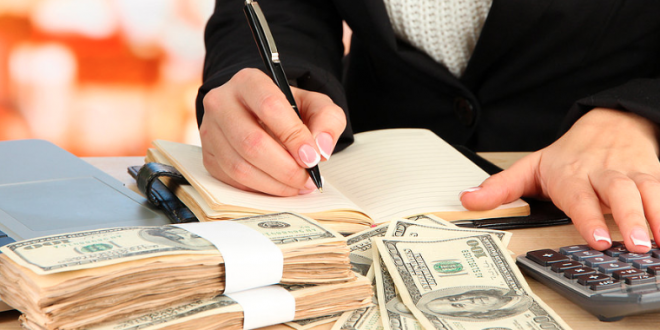 Of course, investments mean having a capital, and in any case you need more budget for your capital, there’s are online pawnshops where you can get quick cash loans. If peer pressure clouds your practical judgment, then you are falling into your own trap. A bad money habit is trying to keep up with your peers. This is not a healthy financial habit as you try your best to live the lifestyle you cannot really afford. Stop exhausting your resources and yourself. Appreciate doing things for you, and not for others. The moment you stop living the life of other people and the moment you recognize your own lifestyle is the moment you start to learn how to be financially savvy. When did you learn how a credit card works? When did you start to be curious about the stock market? They say if you speak money, financial issues wouldn’t bore you. Many people do not fully understand how credit cards work, how to gain a good credit history, how to invest on the stock market, and how to allocate savings in a productive way because of the lack of good financial education. This contributes to a bad financial future, but it’s never too late to learn how money works. Ask the right people, read articles and take the time to study them. With enough financial literacy, making money decisions in your everyday life will be a piece of cake. The old saying goes “Failing to prepare is preparing to fail.” Your financial future is not an overnight homework. Your financial future is a work to pay for your future self. The financial plans include having an emergency fund, putting your money to various investment options, and laying out your financial goals rather than just going with the flow of your current financial standing. Set your blueprint for financial success by creating your financial plans. Sure, old habits die hard, but you don’t want to die old and broke. If you want that money now to buy you your financial freedom in the future, purging your bad money habits is the first step. So, start now and recognize the root problem of your financial standing. One of the best feelings in the world is to know you have a secured financial future to look forward to. Next: Insurance for Diabetes: Here’s the ONLY policy you can get!